Pakistan has improved its ranking from 147 to 136 in World Bank’s Doing Business Report 2019. 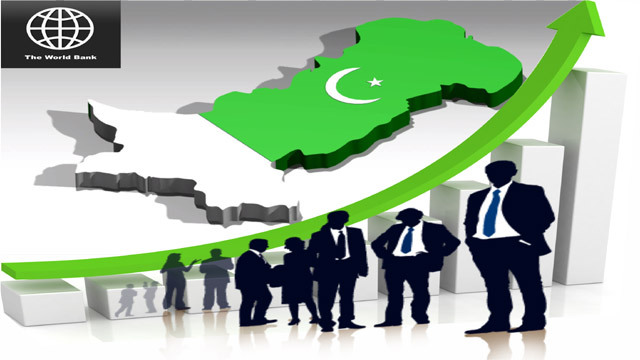 Pakistan has gained 11 points from making efforts to ease the doing business in country. It is the first time that Pakistan makes 11 points improvement in one year. This improvement was made mainly through the reforms in different departments to make the doing business easy. Despite this improvement, Pakistan is still lagging behind in the average South Asian score of 56.71, as Pakistan score 55.31. Only Bangladesh is behind Pakistan which has the score of 41.97 and ranking of 176. India is ranked 77 with 67. 23 score. Pakistan made starting a business easier by introducing the online one-stop registration system; replaced several forms for incorporation with a single application and; established information exchange mechanism between the Securities and Exchange Commission of Pakistan (SECP) and Federal Board of Revenue (FBR). The procedure to register a property has been made easy in Punjab. For registering property, Punjab made it easier by streamlining and automating administrative procedures and increasing the transparency of its land administration system. Sindh also made registering property easier by increasing the transparency of the land registry. In Resolving insolvency, Pakistan made it easier by introducing the reorganization procedure and improving the continuation of the debtors business during insolvency proceedings. The Doing Business report is published by World Bank, which measures the performance in ease of doing business in 190 countries. The rankings of countries in the report indicate competitiveness as well as highlight the areas where reforms are immediately needed to improve business climate in the country. The world measures the time needed to start a business in a country. For example, it calculates that how long it takes to get the connections of electricity, gas and water. It also measure the total days required to register a business. It also takes into account the tax system of a country, the number of taxes and how long it takes to pay the taxes. Pakistan needs to improve a lot to climb up the rankings. Serious efforts needs to be made to ease the doing business. The red tap should be reduced and hurdles to start the business must be removed to encourage the investment. It’s a good sign that Pakistan made big improvement in the rankings. Pakistan needs more reforms to further improve the rankings.